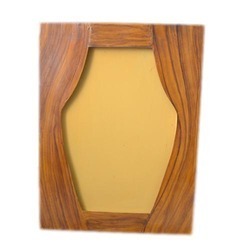 Our product range includes a wide range of woodennxt handicraft coasters, woodennxt tea coasters, woodennxt handicraft antique frame, woodennxt wall hanging frame, woodennxt wall decor frame and woodennxt trendy wall frame. 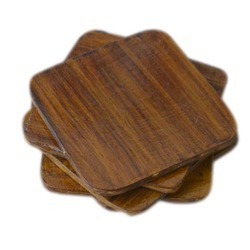 Raise the style quotient of your dining tables with these Woodennxt Wooden Coasters - Set of 6. 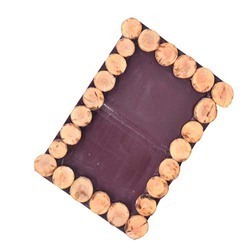 Made of wood, these coasters are perfect for covering glasses or holding hot or cold containers. Easy to clean and highly durable, these will surely look very classy on your tables. They make for a lovely gifting item too. Natural color and texture variations in the wood make each coaster unique. Product Contents: 6 Coasters and 1 Coaster Holder. For tea cups, coffee mugs, beer cans, water glasses, juice tumblers, etc. Decorative and Useful. 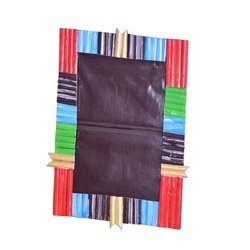 This product is 100% Made in India and handmade by skilled Artisans. We support Indian Artisans and "Make In India". We all love capturing treasured moments of our lives' on our camera, phone, and computers. However, in our increasingly digital-centric world, our photographs and pictures seem to never leave the storage space of our devices. Thousands of precious moments are left unseen, only rarely surfacing on our social media accounts that are then quickly forgotten. Transform your photos hidden away on your hard drive, cell phone, digital camera and other devices into unforgettable works of art with Woodennxtframes. Celebrate life by snapping, printing and framing your favorite moments and revive the dying art of film. Give your cherished moments that final finishing touch they deserve in a choice of frame sizes. Visually showcase your most-loved memories at home or in the office. Gift a framed memory to someone special - the perfect present for any age or taste! 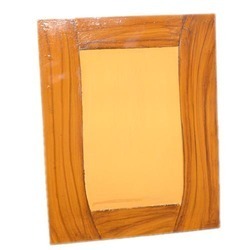 Woodennxt introduces a remarkable range of photo frames.The frames are stylishly oriented to grant attention to your side table.Wooden frames are made of synthetic wood and thickness is of 0.5 inches, comes with wood cover, with stand and hanging provision, can be used both vertically and horizontally. 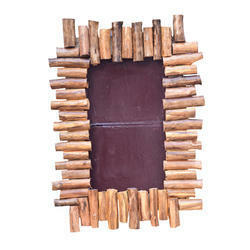 Don’t let the wall of your living room be empty, decorate them with these Woodennxt creative photo frames. Frame theme anywhere to and be close to nature. So, what are you waiting for? Grab the items and refurbish your living room. 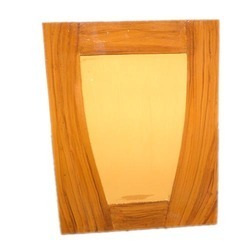 Photo frames are made of high-quality light plywood which is environmental-friendly. The handcrafted frames are hand polished thrice & there is a thick layer of paint spray that will give you a long-lasting experience of an optimum quality wooden frame. This is a wonderful hand carved decorative wall frame made of premium quality poplar wood pieces. 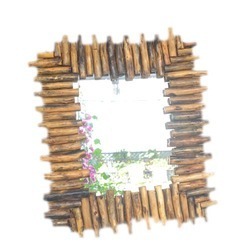 This unique wall wood frame is definitely a decorative piece which will liven up interiors of your living room, drawing hall, master bedroom, or dining area or wherever you will use it either in the office or home. This is a classic masterpiece which adds a great look on your wall and leaves a remarkable impression about your choice. This product can also be gifted proudly during house warming ceremony, wedding or birthday etc to your friends and relatives. This product has been handcrafted by experienced craftsmen. The Woodennxt Crafts products are 100% genuine and each product comes after a thorough quality check and with the most reasonable prices. We also enlist a variety of home decor products that you can pick based on your preference for sizes, designs and patterns, colors, and materials. 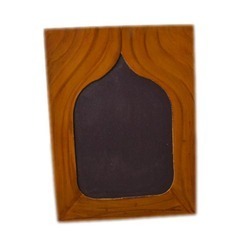 This is a wonderful hand carved decorative round wall antique frame made of premium quality poplar wood pieces. This unique wall round frame is definitely a decorative piece which will liven up interiors of your living room, drawing hall, master bedroom, or dining area or wherever you will use it either in the office or home. This is a classic masterpiece which adds a great look on your wall and leaves a remarkable impression about your choice. This product can also be gifted proudly during house warming ceremony, wedding or birthday etc to your friends and relatives. This product has been handcrafted by experienced craftsmen.The Woodennxt Crafts products are 100% genuine and each product comes after a thorough quality check and with the most reasonable prices. We also enlist a variety of home decor products that you can pick based on your preference for sizes, designs and patterns, colors, and materials. This vibrant set of six coasters will add a nice sheen to your tea party. 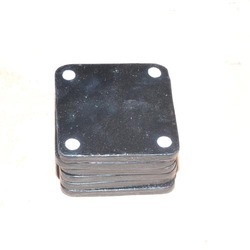 The coasters can be placed neatly before and after use in the wooden box that accompanies it. They are made of steam beech wood and represent the technique of color buffing from Uttar Pradesh. In the box: 6 Coasters with Base Stand. Woodenxt wall decor. Make a statement with this striking wall hanging. Your walls are a reflection of you. Decorate your walls and expand your art collection with crafts hang it in your bedroom/living room/main entrance as well as in your office lobby. Whether you want to glorify your wall, gift it to someone special. Woodennxt wooden Podium is a platform used to raise something to a short distance above its surroundings.a small platform on which a person may stand to be seen by an audience, as when making a speech or conducting an orchestra. Also, can be used as a lectern/podium for lectures in schools, colleges, institutes, offices and conference rooms. Stable and sturdy. Can be used in office/home for reading, working etc while standing. Made of Wood. Easily movable to any place in your room, office, prayer room or conference hall. It promises to spruce up your living room and add a tinge of nostalgia. This frame can be mounted on the wall easily and can also be cleaned easily. 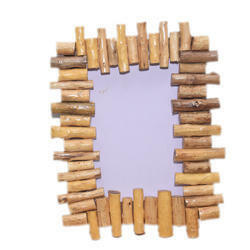 This elegant photo frame is made of good quality wooden material. A remarkable range of photo frame by woodennxt. The frame is stylishly oriented to grant attention to your wall. Frames are made from premium quality synthetic wood. Also, include plaque board which can be pasted on the wall. 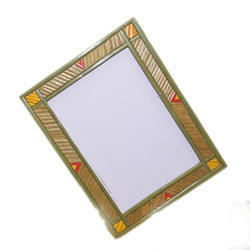 Woodennxt provides high-quality quality photo frames. All frames are wood polished and are Textured Frame. Also, you can put the frames wall mounted vertically and horizontally or both.There is no reason for an attractive and decorative wall. Flaunt your love for your beautiful memories with the most elegant range of photo frames. 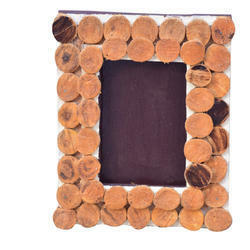 Don’t let the wall of your living room be empty, decorate them with these Woodennxt creative photo frames. Frame theme anywhere to and be close to nature. So, what are you waiting for? Grab the items and refurbish your living room.Photo frames are made of high-quality light plywood which is environmental-friendly. The handcrafted frames are hand polished thrice & there is a thick layer of paint spray that will give you a long-lasting experience of an optimum quality wooden frame. It promises to spruce up your living room and add a tinge of nostalgia. 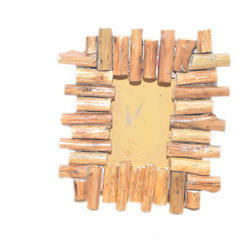 This frame can be mounted on wall easily and can also be cleaned easily. This elegant photo frame is made of good quality wooden material. 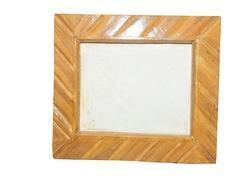 Woodennxt Present By Attractive Purely Wooden Photo Frame In Natural Wood Color. This Wooden Frame Is Carefully Handcrafted. There Is No Assembly Line Or Automation Involved. Photo Frame Size May Have Minor Difference Than Declared Size Because All Frames Are Handcrafted. Just Frames creating every master piece using hands, there is no assembly line or automation involved. These wall round frames are designed with very perfection and improved charm of your home. Best place for hall, bedroom, living room, office, cafe & restaurants etc. Wall frame are an inexpensive way to enhance the decor of any room. 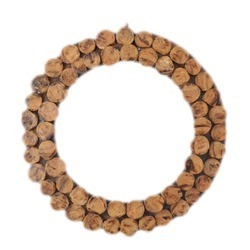 Exclusive designer wooden wall round frame gives a stylish look to your wall. Just Frames creating every master piece using hands, there is no assembly line or automation involved. These wall round frames are designed with very perfection and improved charm of your home. Best place for the hall, bedroom, living room, office, cafe & restaurants etc. Wall frame is an inexpensive way to enhance the decor of any room. 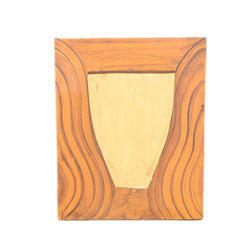 Exclusive designer wooden wall round frame gives a stylish look to your wall. Add style and intrigue to your walls with high-quality wall Hangings.Each of these items is made with a meticulous attention!Material: Fine Bamboo Package Contents: 1 wall hanging. Personalize your living room with this exclusive photo frame and relive those memorable moments that you would cherish for life. Let this unique and antique décor piece make your striking style statement. It is hand fabricated and ultra-detailed with superior grade Plywood that would breathe new life into your living room. - Brandnew and high quality. - Pinewood texture, environmental non-toxic, fully reflect your pursuit of nature and comfort. - Can be combined according to your needs into a different vocabulary, not only can bring the life fresh atmosphere, but also enrich your life. - Can be used for home decoration, wall decoration, children's room decoration, flower garden decoration, nursery decoration, wedding decoration, party decoration, propose decoration, etc. - Can also be used for infants and young children literacy education, children's intellectual toys and so on. Set of 3 wooden plywood stars. Smooth finish on every side of stars. 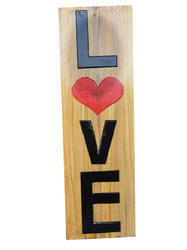 Can be used to decorate Christmas trees, gift hampers, boxes etc. Wonderful multi-colored addition to your Christmas decor.